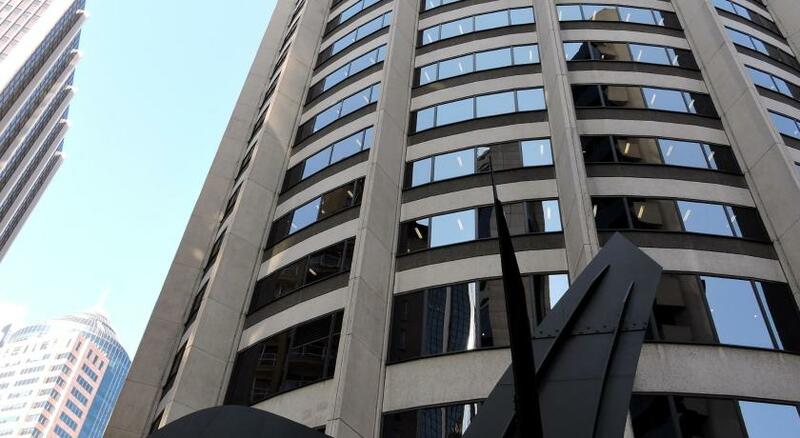 Lock in a great price for Shangri-La Hotel Sydney – rated 8.9 by recent guests! Wonderful ambience. Lovely staff. Outstanding room. All in all a really great Hotel for business or pleasure. 1. The VIEWS from our king suite #1307 as well as the Club Lounge on floor 30 are amazing! 2. 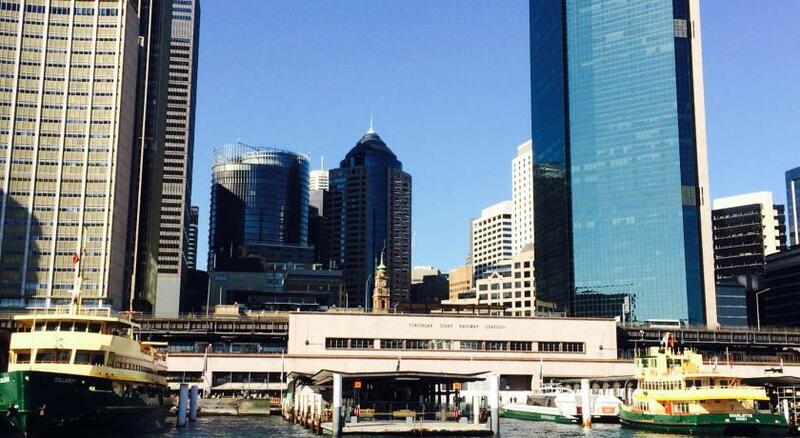 The Hotel’s location is perfect for walking to harbor water tours, restaurants as well as the Opera House! Service was excellent. People were friendly and helpful. Food was exvellent. Very accommodating, room was very clean, and the turn down service was unexpected but greatly appreciated. Staff was very helpful and friendly, we would diffently stay there again. I stayed at room 1109 which besides being a big comfy room with a king size bed has a beautiful view of the Harbour Bridge and Opera House. 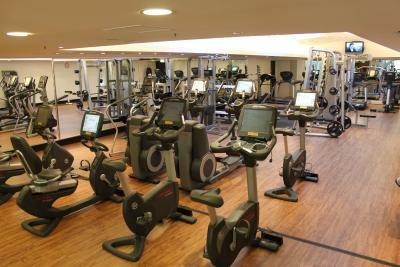 The gym is well equipped and the pool which I didn't enjoy is big. The hotel staff were all extremely friendly, attentive, and made me feel welcomed. I will definitely stay here my next time in Sydney some time soon. Room was very nice and bathroom was well designed. 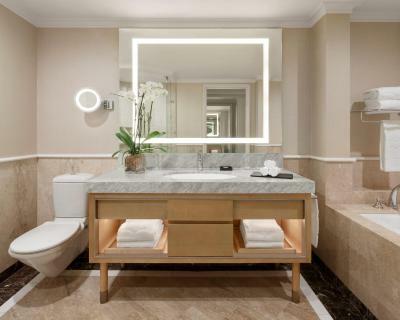 Shangri-La Hotel Sydney This rating is a reflection of how the property compares to the industry standard when it comes to price, facilities and services available. It's based on a self-evaluation by the property. Use this rating to help choose your stay! One of our best sellers in Sydney! 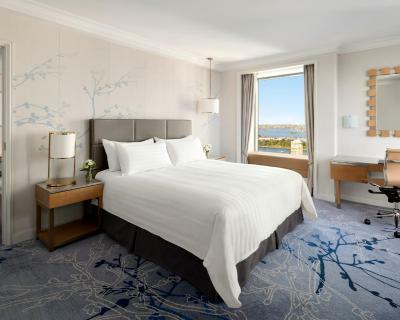 Wake up to breathtaking views of the iconic Sydney Opera House, the Harbor Bridge or Darling Harbor each morning. 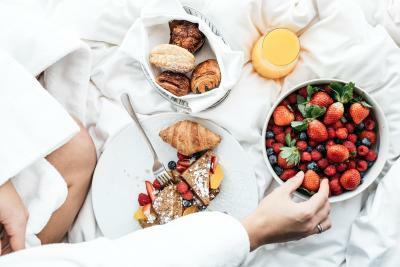 You will be spoiled for choice at the Shangri-La Hotel, with a day spa, fitness center and indoor pool at your disposal. The Shangri-la Sydney is located in the historic Rocks area, where Europeans first settled in Australia in 1788. 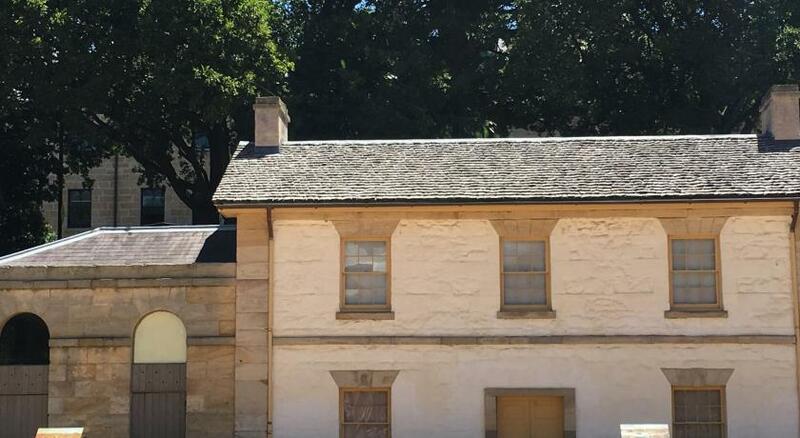 This enviable location is just 5 minutes’ walk from both the Sydney Opera House and the MCA (Museum of Contemporary Art). 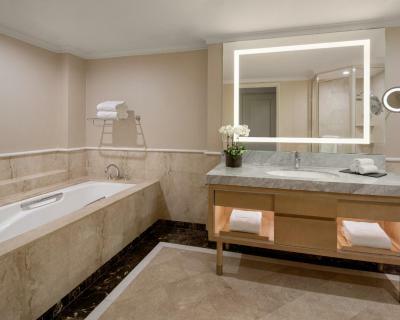 After a day of sightseeing, you can relax in the bathtub of your lavish marble bathroom. All rooms include free Wi-Fi and an iPod dock, as well as fluffy bathrobes and slippers. CHI, The Spa offers a luxurious escape in its private spa suites, with a range of body treatments and massages on offer. The hotel also offers a hot tub, sauna and sun deck so you can make the most of your stay. 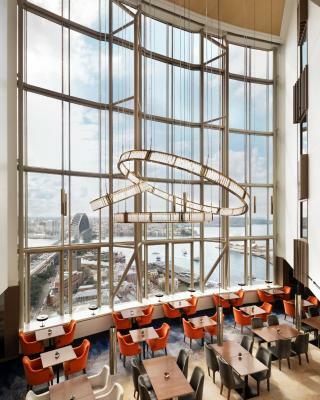 The award-winning Altitude Restaurant features magnificent views of the harbor. Café Mix offers international all-day dining, while the New York-inspired Blu Bar on 36 is the perfect spot for a creative cocktail. 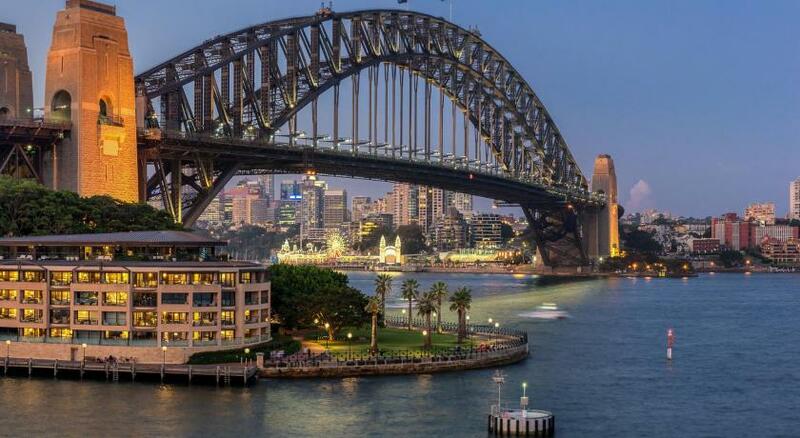 When would you like to stay at Shangri-La Hotel Sydney? 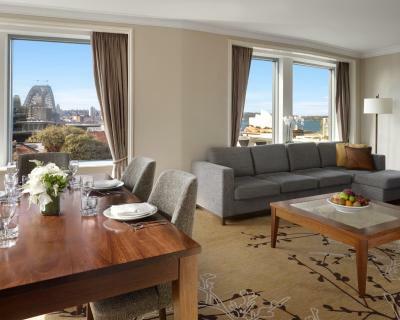 This east-facing room features views over the city, Circular Quay and the Sydney Opera House. 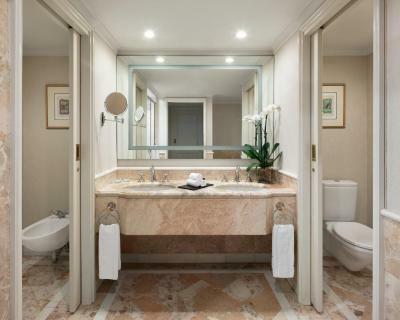 It features a marble bathroom, a flat-screen TV with cable channels, an iPod dock and fluffy bathrobes and slippers. 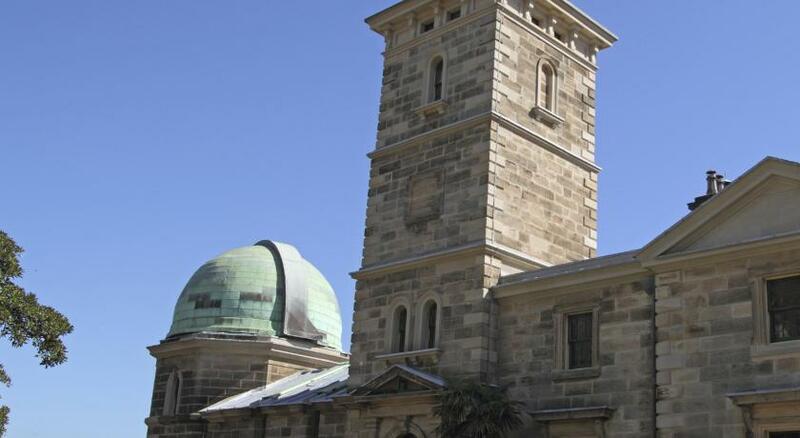 Private parking is available on site (reservation is not needed) and costs AUD 58 per day. 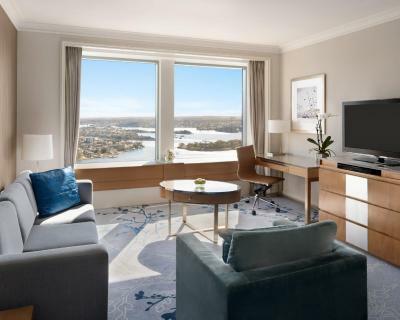 This north-facing room features views of Sydney Harbour Bridge, the Sydney Opera House and The Rocks. It includes a marble bathroom, a flat-screen TV with cable channels, an iPod dock and fluffy bathrobes and slippers. 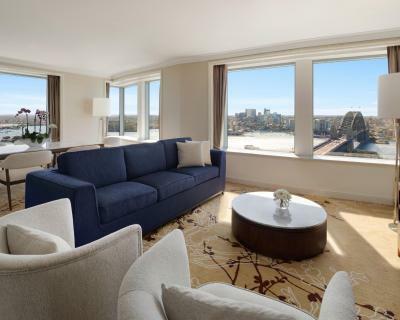 This west-facing room overlooks Darling Harbor and offers views towards the Blue Mountains. 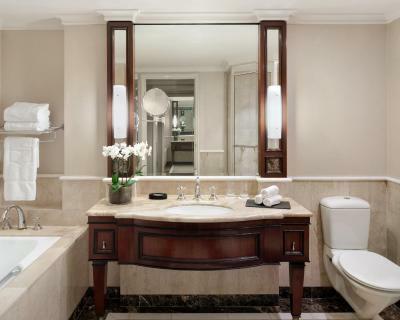 It features a marble bathroom, a flat-screen TV with cable channels, an iPod dock and fluffy bathrobes and slippers. Please note that the price is based on 2 guests. 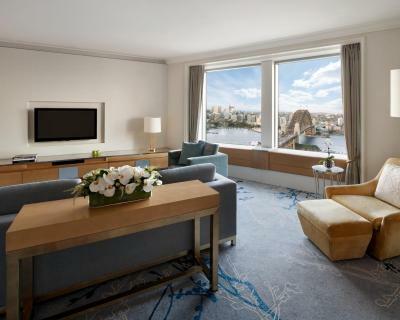 This suite features 270-degree views of Sydney Harbour Bridge, the Sydney Opera House and Darling Harbour. It includes a marble bathroom, a flat-screen TV with cable channels, an iPod dock and fluffy bathrobes and slippers. 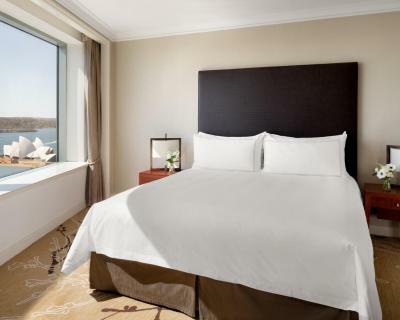 These luxurious rooms, offering 45-48 sqm /484-516 sqf of blissful space, showcase stunning views of Sydney Harbor, Sydney Harbor Bridge and Sydney Opera House. The rooms feature modern design and luxurious window seating to enjoy sweeping vistas as well as a marble bathroom containing a separate bath and shower. These luxurious rooms, offering 40 – 50 sqm of blissful space, showcase high partial views of Sydney Opera House, Circular Quay, and CBD. The rooms feature a modern contemporary design with window seats to enjoy the views as well as a marble bathroom containing a separate bath and shower. These luxurious rooms, offering 40 – 50 sqm of space, showcase views of Pyrmont Bay, northern Darling Harbor, Balmain Bay and Walsh Bay. The rooms feature a contemporary modern design with window seats as well as a marble bathroom containing a separate bath and shower. 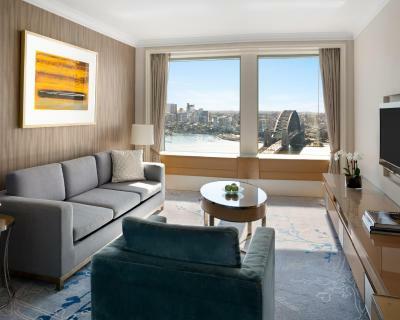 This room features 270-degree views of Sydney Harbour Bridge and Sydney Opera House. It includes a marble bathroom, a flat-screen TV with cable channels, an iPod dock and fluffy bathrobes and slippers. This east facing room offers views of Sydney Harbour, Circular Quay and Sydney Opera House. 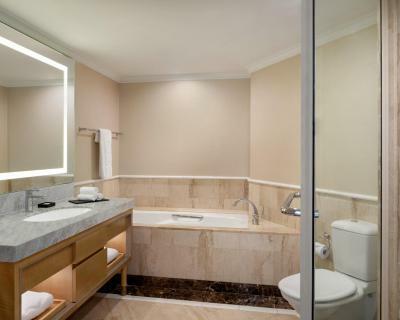 It features a marble bathroom, a flat-screen TV with cable channels, an iPod dock and fluffy bathrobes and slippers. This west facing room offers views of Darling Harbour, stunning sunsets and the Blue Mountains in the distance. It features a marble bathroom, a flat-screen TV with cable channels, an iPod dock and fluffy bathrobes and slippers. This west-facing room overlooks Darling Harbour and offers views towards the Blue Mountains. It features a marble bathroom, a flat-screen TV with cable channels, an iPod dock and fluffy bathrobes and slippers. 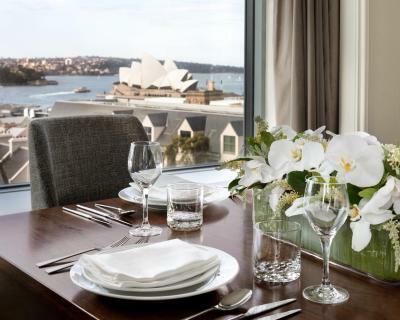 This east facing room offers views of the city, Circular Quay and the Sydney Opera House. It features a marble bathroom, a flat-screen TV with cable channels, an iPod dock and fluffy bathrobes and slippers. These luxurious rooms, offering 40 sqm of space, showcase views of Pyrmont Bay, northern Darling Harbor, Balmain Bay and Walsh Bay. The rooms feature a contemporary modern design with window seats as well as a marble bathroom containing a separate bath and shower. 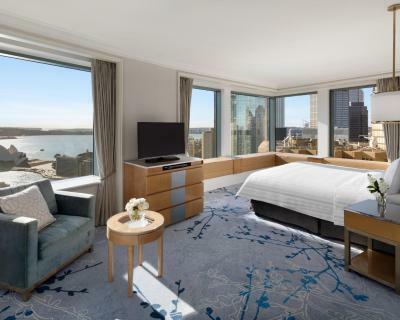 These luxurious rooms, offering 40 sqm of space, showcase high partial views of Sydney Opera House, Circular Quay, and CBD. The rooms feature a modern contemporary design with window seats to enjoy the views as well as a marble bathroom containing a separate bath and shower. 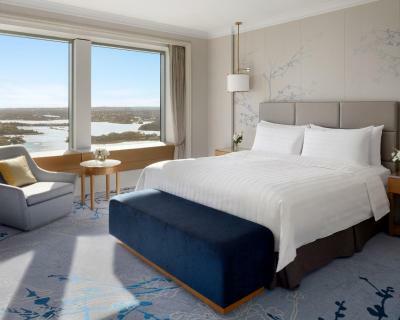 These luxurious rooms, offering 50 sqm/538 sqf of blissful space, showcase stunning views of Sydney Harbor, Sydney Harbor Bridge and Sydney Opera House. The rooms feature modern design and luxurious window seating to enjoy sweeping vistas as well as a marble bathroom containing a separate bath and shower. 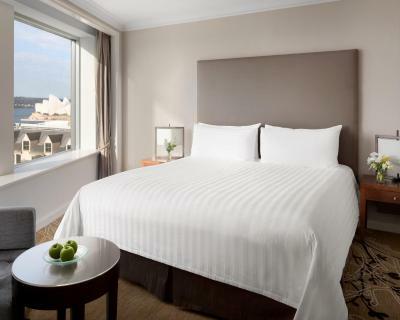 This room has the comfort and amenities of Grand Harbor View Rooms, plus exclusive Horizon Club privileges. 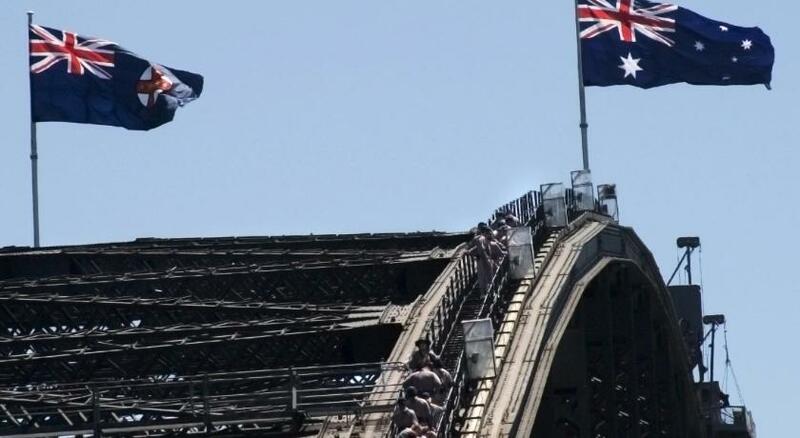 It features panoramic 180-degree views of Sydney Harbor, Sydney Harbor Bridge and the Opera House. 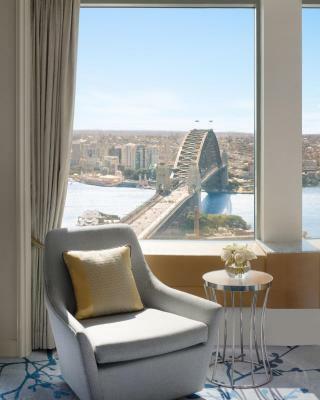 This room features 270-degree views of Sydney Harbor Bridge and Sydney Opera House. It offers access to the exclusive Horizon Club Lounge with its full range of privileges. 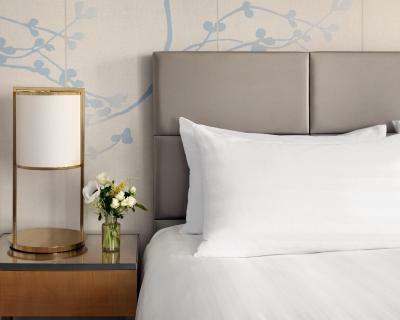 This suite provides spacious and comfortable accommodations and allow guests to enjoy a peaceful stay with access to the exclusive privileges of the Horizon Club Lounge. It features views of northern Darling Harbor, Walsh Bay, the Parramatta River and beyond. 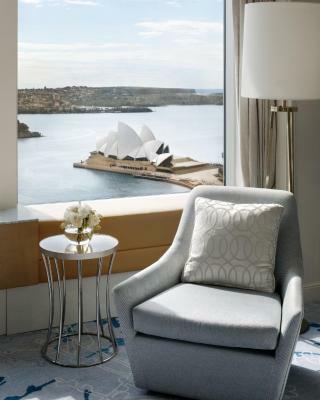 This suite offers panoramic 180-degree views of Sydney Harbor, Sydney Harbor Bridge and the Opera House. Guests have access to the exclusive Horizon Club Lounge with its full range of privileges. 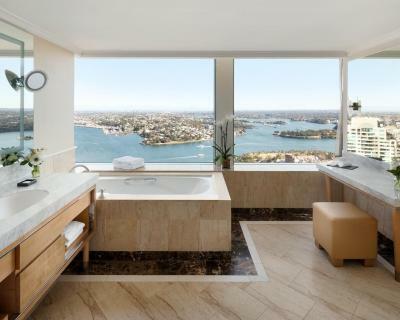 Located on levels 31-35 this suite boats a panoramic 270-degree view of Sydney Harbor, Sydney Harbor Bridge and the Opera House. 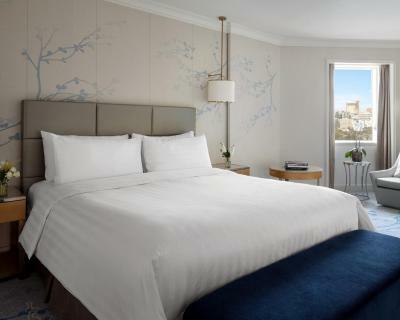 Guests staying at the ambassador suite will be provided with spectacular views of the city. This room has access to the exclusive Horizon Club Lounge with its full range of privileges. 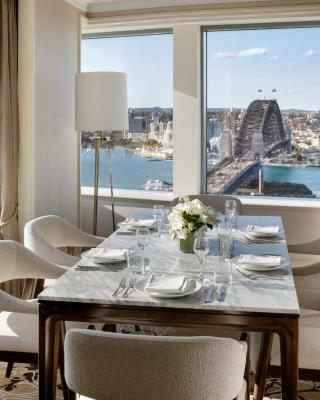 The Rocks suite features views of The Rocks District and Sydney Harbor from the fifth floor. This luxury 1-bedroom suite includes a separate sitting room, kitchenette and dining room. The Governor Suite is ideal for guests who require all the amenities of home. 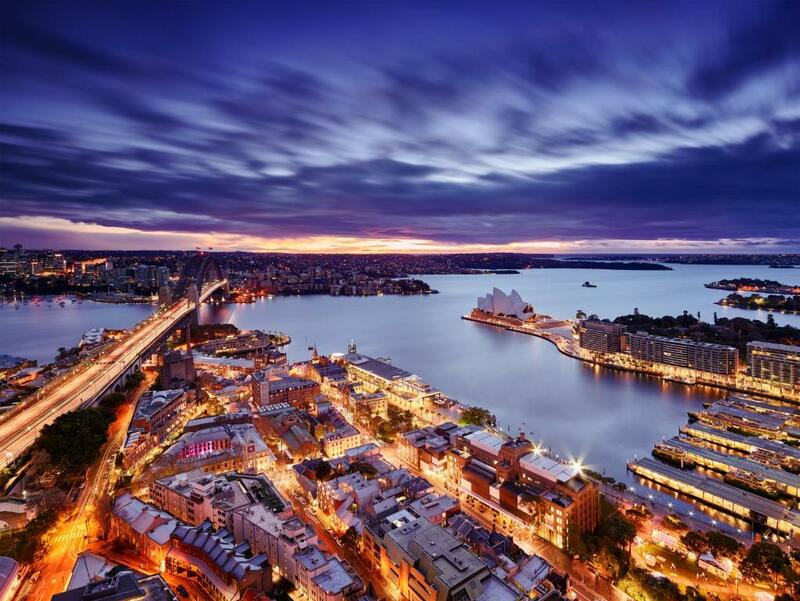 The Governor suite offers 270-degree views of Sydney Harbor. The luxury 1-bedroom suite has a separate sitting room, kitchenette and dining room. 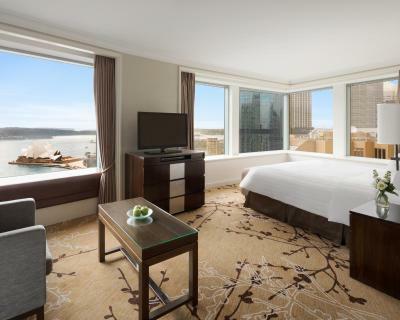 This room features 270-degree views of Sydney Harbor Bridge and Sydney Opera House. It features a marble bathroom, a flat-screen TV with cable channels, an iPod dock and fluffy bathrobes and slippers. 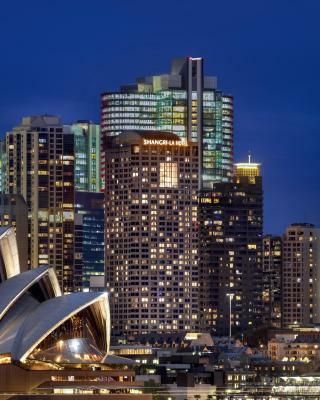 Shangri-La Hotel, Sydney is the city's leading deluxe hotel. 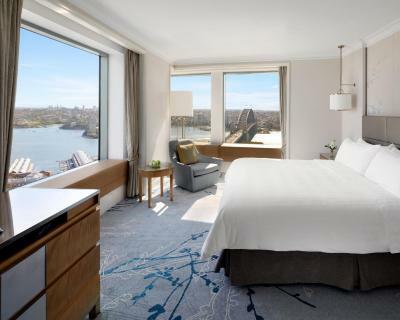 Located in the historic Rocks district between the Sydney Opera House and Harbour Bridge, the hotel offers 565 spacious and inspired luxury guestrooms and suites. 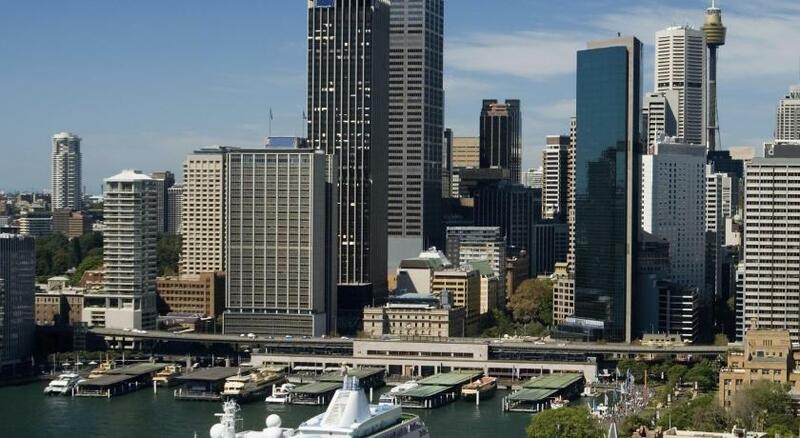 Apart from a superb location and uniquely spacious accommodation rooms for Sydney, the hotel offers some of the city’s finest dining options including Altitude Restaurant, our award-winning contemporary restaurant and Blu Bar on 36, each offering its own spectacular views of the city from level 36. The hotel’s meeting and business facilities are second to none. Whether an individual traveller is in need of basic business facilities, or a company wishes to host a lavish event, the trained staff at Shangri-La Hotel, Sydney are equipped to handle virtually every conceivable scenario. The hotel’s Grand Ballroom, Horizon Club lounge and private meeting rooms are all equipped with the latest videoconferencing services and wireless Internet resources, making the hotel a reliable resource for guests.